Delivery from £8.00 to United Kingdom in 9 - 19 working days. 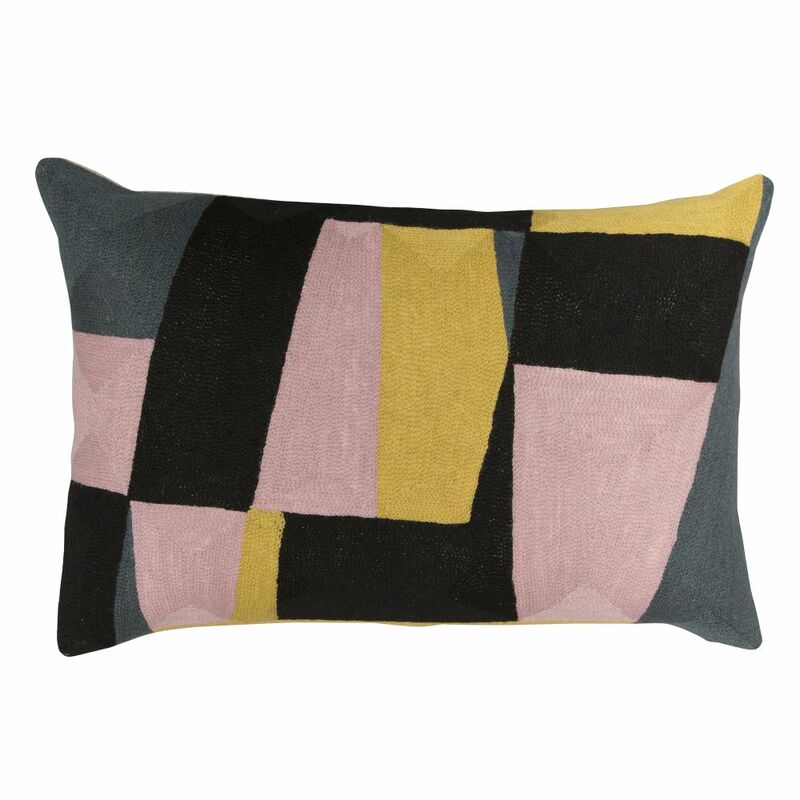 This hand embroidered cushion is inspired by mid-century abstract painting and graphic design. These designer cushions are a striking geometric addition to our crewel embroidery collection. Inspired by mid-century abstract painting and graphic design, the front surface is fully covered in hand crewel embroidery work with a natural linen reverse. Complete with a sumptuously filled feather pad.